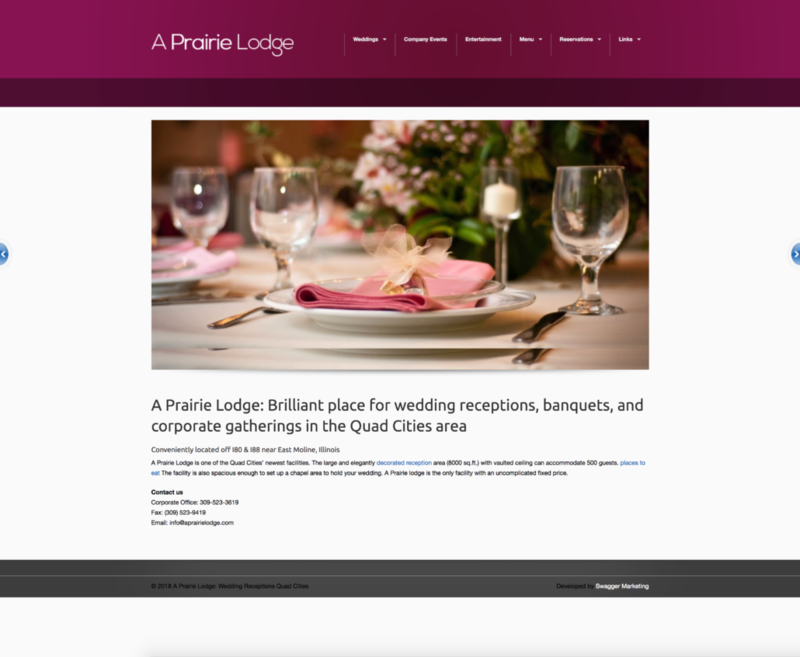 Our client A Prairie Lodge needed a major makeover! Our client main goal was to improve the searchability of his website. He couldn’t be found on Google and after looking into why we found out rather quickly. We found more than one version of the website live online and Google doesn’t like to see duplicate content. The website was hacked. Multiple links on random pages were found in the code. The previous website designer (SwaggerMarketing.com currently his site is down due to being hacked) did a disservice on not having the website located at the proper URL. The URL was http://www.aprairielodge.com/aprairie/site/ but it should have just been aprairielodge.com. We thought this was crazy until we went to Swagger Marketing’s website and found that he did the same for his own “business” website. Clearly, this web designer doesn’t know what he is doing and our client suffered financial loss as a result. Added an SSL (secure socket layer) that establishes an encrypted link between a web server and the browser. Improve the overall look of the website to show off the location. Get them found online in Google’s SERP (search engine results page). Killed off 2 other versions of the website that were searchable online that had duplicate content. Fixed hacked website. Spam-filled backlinks. Killed all duplicate website and 301 redirected all legacy links to new pages on the new website.